Peter Schlageter passed away peacefully after a short illness in Pattaya on the 29th of June 2015. Peter was born on the 6th May 1946 in Switzerland. Peter leaves behind Ivy Schlageter-Lam, his wife and partner for the past 43 years. They met in the early seventies when Peter was seconded to open up the Far East for an international Swiss Logistic company in Hong Kong. Horses were his passion, Logistics his vocation. 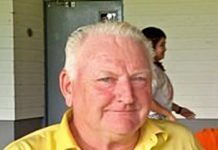 Peter, a consummate and respected horseman, has been an active past member at the Horseshoe Point, the Polo Escape and of late the Thai Polo Club Pattaya. After winning and participating in his earlier years in international equestrian competitions he represented Switzerland in show jumping as a junior. 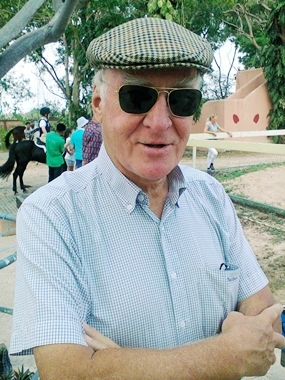 Peter coaching his New Zealand imported horse “Cash-in” at a Horseshoe Point Pattaya Competition in 2014. His professional obligations in the Logistic Field took priorities where he worked on three continents and in unaccountable countries. Ivy was always by his side. Peter enjoyed travelling. Upon semi-retirement and lately after full retirement, the couple enjoyed the finer things in life; in particular horse shows on four continents. His jovial personality gave him access to the very finest in the horse business, being able to talk on their level about horsemanship and horse flesh. The Schlageter couple became highly respected, honourable patrons and guests, in particular in Canada, Hong Kong, India, and the international horse scene in France and Switzerland, amongst other places. Peter was President of the Rotary Club Eastern Seaboard from 2009 – 2010 when he organized the first Rotary Polo Charity Event. Peter was also a member of the Jockey Club in Hong Kong. Peter’s parting leaves a big void with his lovely family and relatives as it does with his friends. 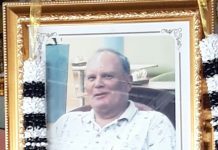 Funeral arrangements have been made for 1:00 p.m. July 13, when a Requiem Mass will be held at St. St. Nikolaus Church on Sukhumvit Road in Central Pattaya. The Cremation will be held at 3:30 p.m. at Wat Sawang Fa, entrance on Sukhumvit Road (approx. 100 m after the 1st red light, on the left).